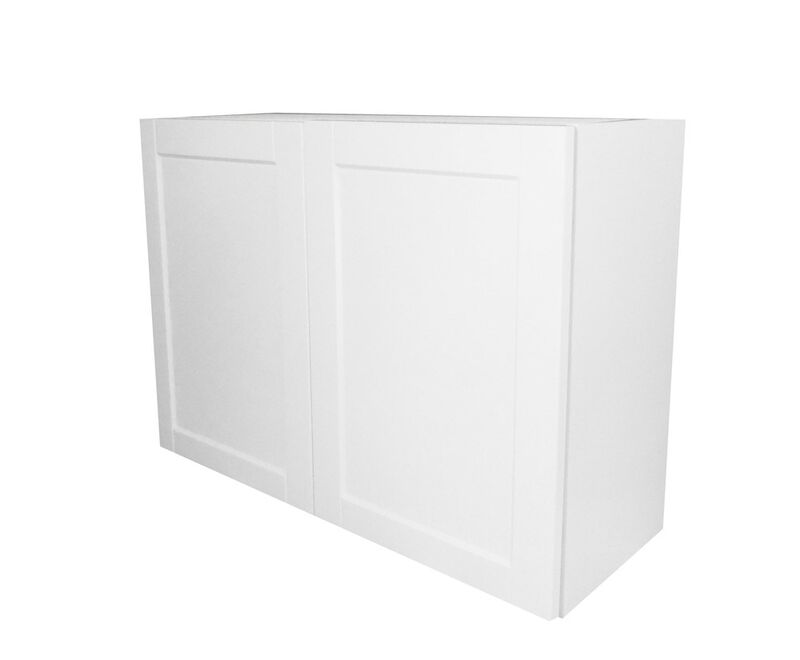 36" wide, 24" tall wall cabinet, cabinet comes with soft close hinges and color matched 5/8" furniture grade melamine on the exterior left and right sides. Underside of cabinet is also color matched. Cabinet is constructed of 5/*" furniture grade melamine with steel cam and dowel construction for a strong, sturdy, east to assemble cabinet. Height: 24" Length: 11 7/8" Width: 36"